Firstly I would like to say up front that the following photos are shocking. If I didn’t work and have to raise two children I would have found time during daylight hours to take better photos and write up fancy instructions. 8) a bunch of 6 year olds can complete it easily. After googling and giving up, this is what I made up on my pat malone. 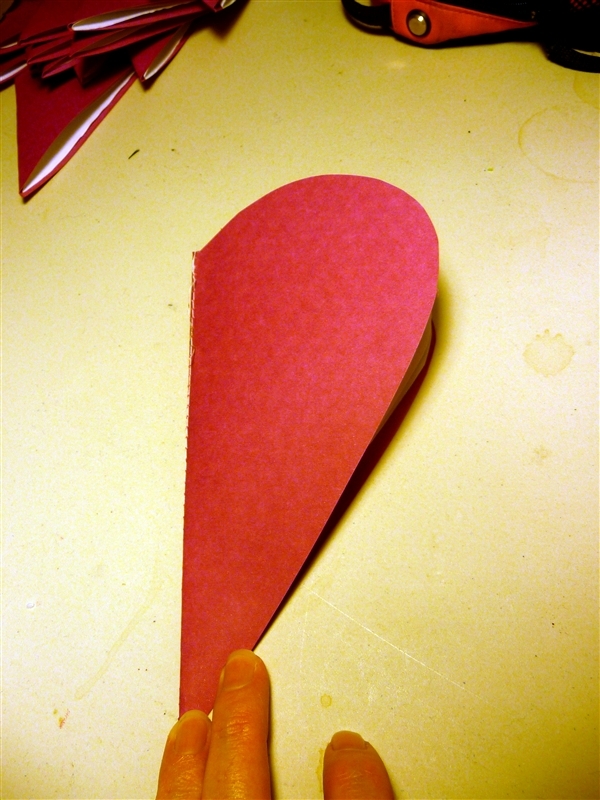 You will need dark pink card stock, white copy paper, pink copy paper, scissors & sewing machine. Use MS Word – insert word art, use arial font to creat this title and print it out on white copy paper. Later the kiddies will color it in. 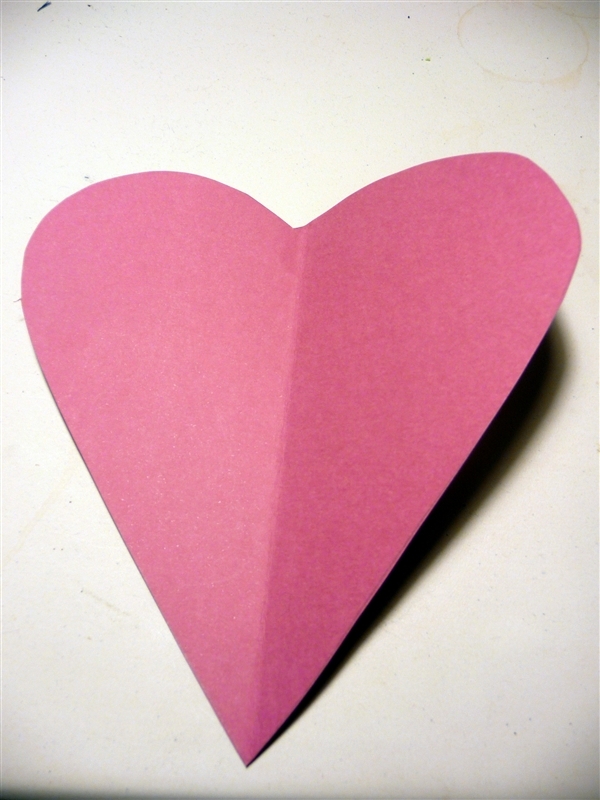 Using your heart template trace around the outside and cut a little smaller than the card stock (template). Fold both in half and use your sewing machine to stich it together down the middle. I used white cotten because I thought that kiddies will end up coloring it in too. 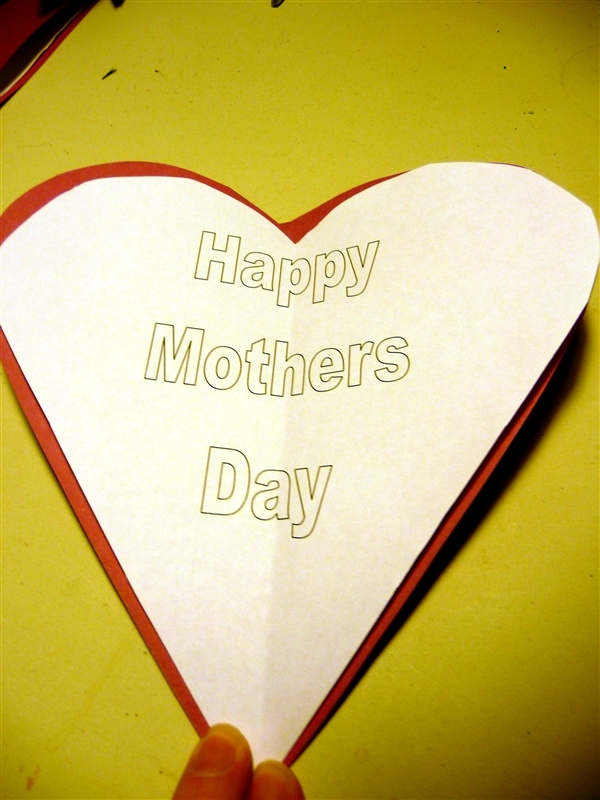 Now you have a basic Mother Day card, which looks like a mini book. Yes that is tea stains on my sewing table (sigh) and the children didn’t do it. If I wasn’t in such a hurry I would have cleaned up a bit and took better photos. 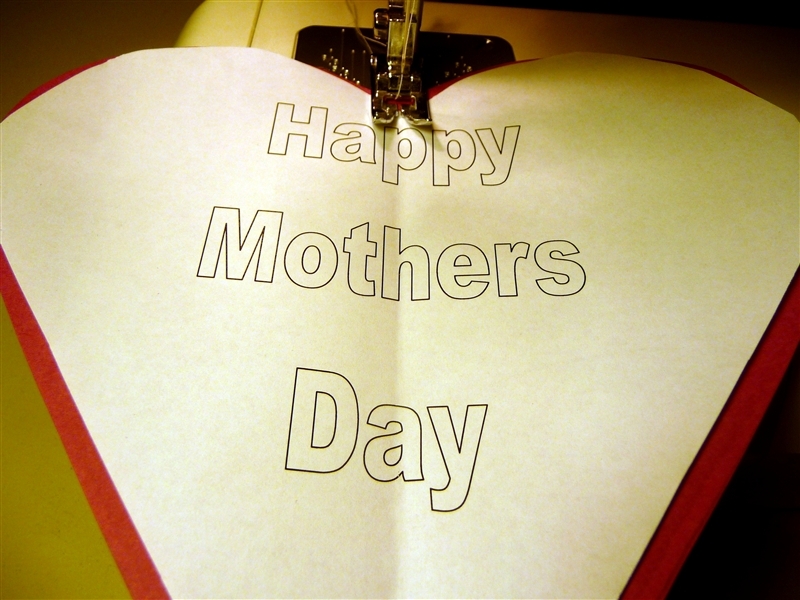 Remember this post is for us busy working mothers who need to make 20 quick and easy mother’s day cards. I have laundry to hang out and Scout uniforms to iron. 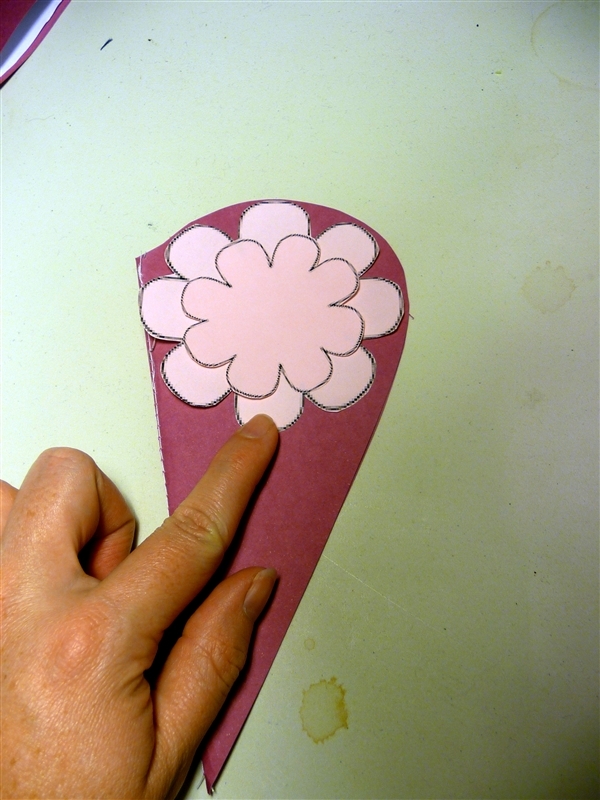 Tomorrow the kiddies can glue on some flowers that I printed out on pink copy paper. It would have been quicker to punch out the shapes and use chalk to give the black edge. But I wanted to sit on the couch and watch MasterChef and cut them out by hand with my favourite daughter. PS if you want a copy of the templates I made up, send me an email.